Session Fees: Regular fees are $110 per session. $25 off first three sessions for new clients. A sliding scale is applied for low income clients. Pastor - Dan had done counselling as a pastor for 5 years, so is comfortable involving a spiritual component to counselling. Registered Clinical Counsellor - He was registered in 1994, and has been counselling in private practice since that time. He has worked with individuals with a variety of needs: separation anxiety, grief/loss, depression, ADHD, ADD, victimization, anger management, self- esteem issues, behavior management, Obsessive Compulsive Disorder, Oppositional Defiant Disorder, anxiety, suicidal ideation, conflict resolution, self-mutilation, autism, criminal justice involvement, addictions, FAS, eating disorders, abuse, and employment preparation. Marriage and Couples Therapy - Dan has developed a very effective, brief, solution-focused therapy, combined with cognitive-behavioral exercises, which generally turns marriages or relationships in a positive direction within 6 sessions. It gives Dan great satisfaction to meet couples years later who were able to save their marriage with his help. 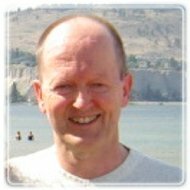 Elementary School Counsellor - He worked for 6 years for the Abbotsford School District with about 450 students who had a wide range of challenges in their lives. He found that children were very responsive to his help. With younger children, he effectively utilized play therapy. Foster Child Program Director - He has worked for 20 years with high needs teenage foster children. Many of them became normal functioning adults with the help that they were given. Prison Chaplain - Dan additionally worked in the capacity of a prison chaplain in a maximum security prison and worked with much deviant and addictive behaviour. Dan found that, no matter how low an individual sinks in crime, despair, addiction, etc., it is still possible to make a total turnaround with the right kind of help. Because of the diversity of Dan’s experience, he can listen to, and empathize with the needs of most people. Having gained their trust and confidence, he will proceed to work with them to make the needed changes in their lives so that they can function in a desirable manner.